At Thermapply™ we have a dedicated design department on-hand to help you develop your specific projects. 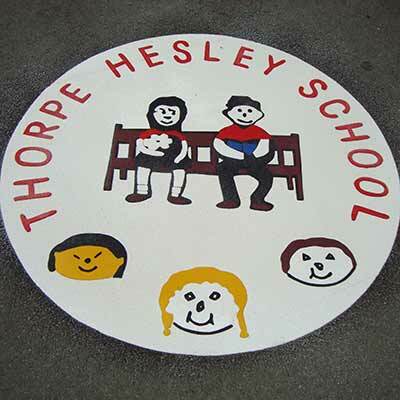 Whether you are designing a playground, community project, or else a bespoke presentation that features on-surface signage we can help. 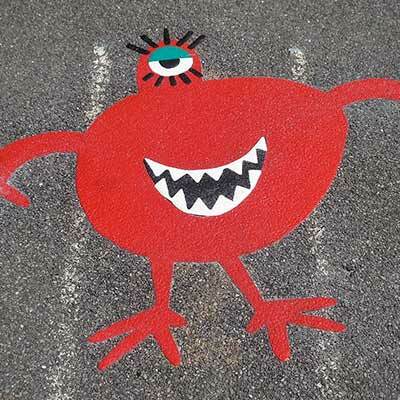 From the simple sign to the more intricate logos and surface decor we will take your designs and convert them into a format that can be reproduced as thermoplastic works of art. Quite simply there are very few designs or motifs that cannot be reproduced in a thermoplastic format. 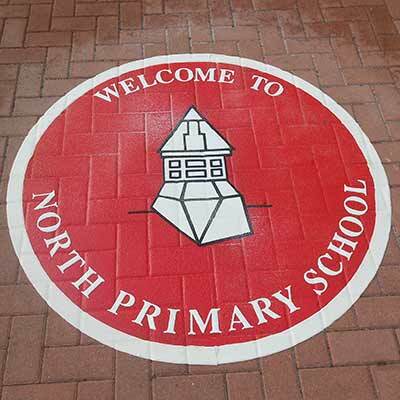 If you have a specific requirement for a bespoke marking such as a logo, welcome sign or corporate design simply send it to us via our website. Attach your PDF or JPEG file with the required dimensions and we will provide you with a quotation within 24 hours. All bespoke marking requests are subject to sight of design. All playground products featured within the pages of this website are available ‘off the shelf’ and are delivered within 7 days of receiving your order and payment, however any bespoke designs are firstly re-artworked, sent to you for approval and once approved are manufactured and delivered within 10 working days of order and payment having been received. All orders are dispatched in a protective box, complete with installation instructions and anti-slip glass bead. Once you have submitted your designs, and we have provided you with a quotation and a drawing, we will assign a project number to your request and will post your project on the website Thermapply.co.uk in order that you may place your order. Simply go to your account, select your project and submit your order. Start the process now by uploading your design using the two part form opposite.